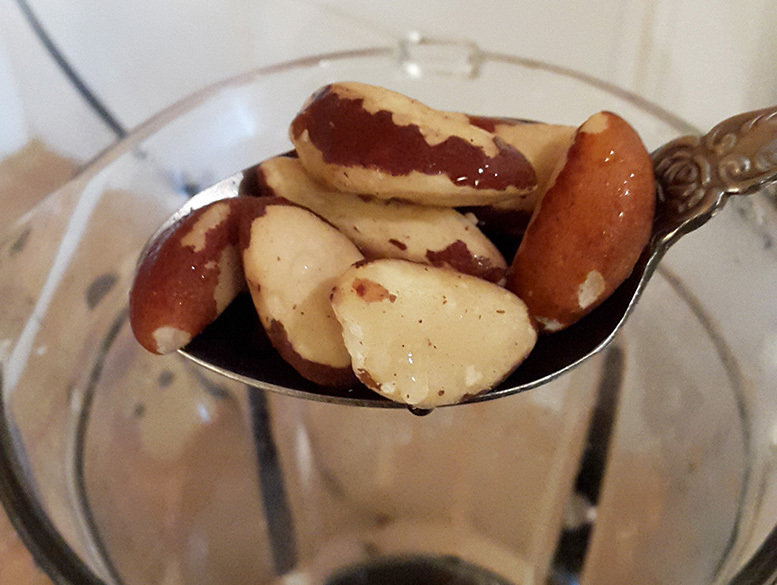 How about a vibrant, nutritious, healthy, nutty, smooth and perfectly thick glass of brazil nut milk ? Or why not a super tasty chocolate milk that tastes like all of your chocolate dreams pooled together. Here is how you can make this every morning in less than 3 minutes. And as always, I recommend to use only organic and fresh ingredients. 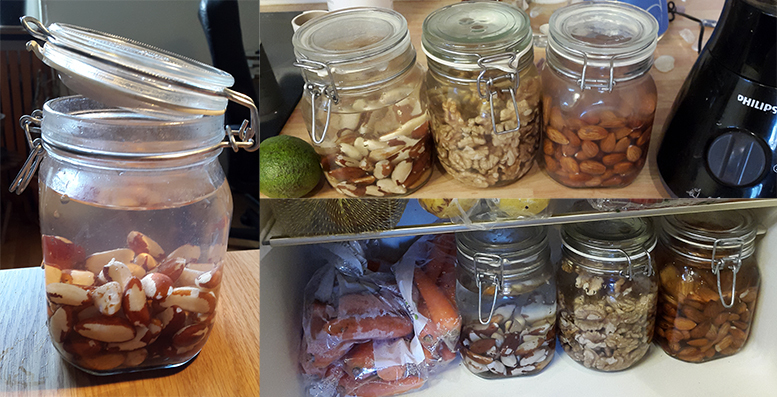 The only preparation you need to do is to soak some nuts in water over night. 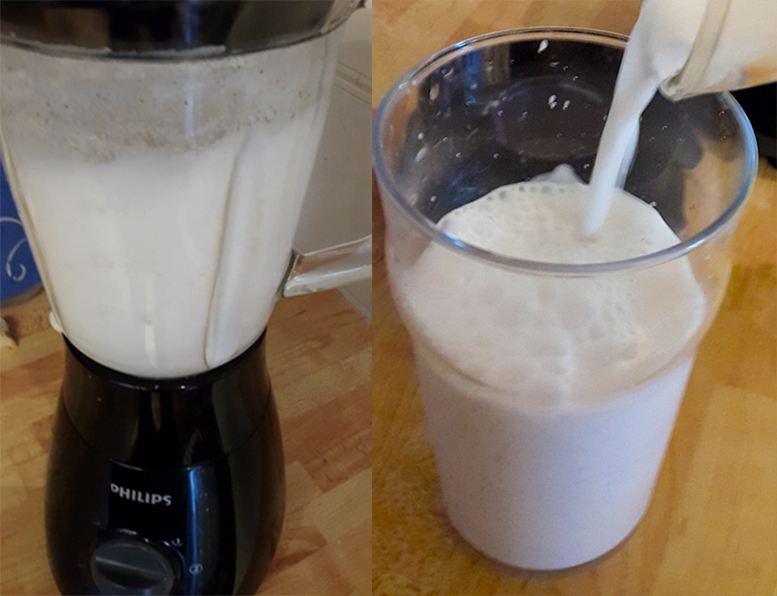 Alternatively, if you like to make this milk every day, you can keep various nuts soaked nuts in your fridge continuously. But if you choose to do so; Remember to change the water at least once every day or two. As long as the water is changed, the nuts will not go bad for up to 2 weeks. Brazil nuts and walnuts can be used directly, almonds could possibly be peeled if you are bothered by the skin. If you wish to make some super delicious chocolate milk; you can simply add 1 tea spoon of raw cacao powder, and 1-2 pitted dates before proceeding to step 3. 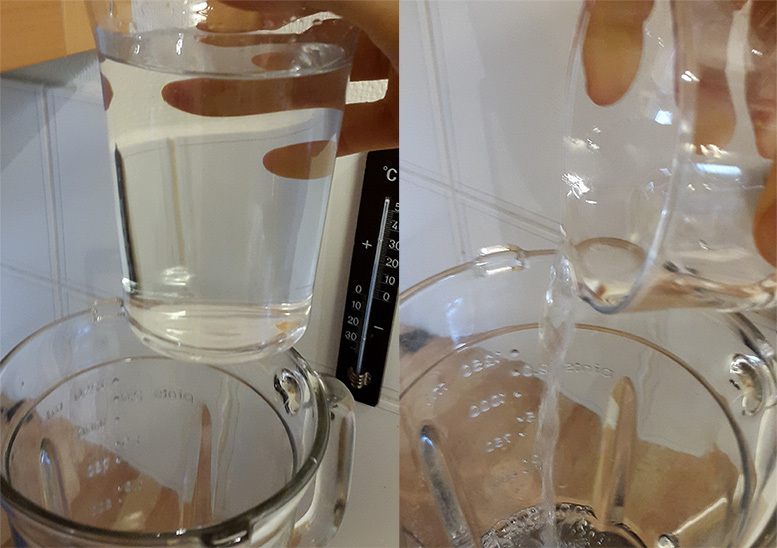 If you want the milk to be less thick and perhaps more smooth (completely without nut remnants), you can pour the milk through a strainer to get rid of possible nut remnants. If you do use a strainer however; don’t through the nut remnants away because it is a great starting material for making Plant based yoghurt. All you really need to do is to add a few table spoons of plant based pro-bacteria (such as rejuvelac) to the nut remnants and a little bit of water and let it stand over a few hours. That is however a completely different recepie. I’ll try to put this to good use imlimeatedy. You Sir/Madam are the enemy of confusion evhyeweerr!